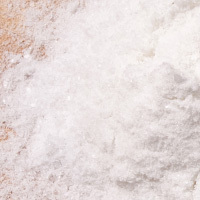 Salt found in the food we eat comes from various source including rocks, the ocean, and salt lakes. Salt from rocks and the ocean is sun dried salt. These sources of salt differ little from natural salts with no additive in terms of mineral content. If you are worried that you may be getting too much salt in your diet and it is starting to make your legs swell up in addition to unwanted bloatedness, consider reduce intake on salt or increase intake off potassium. Note that the converser, too much potassium in your diet, can be fixed by taking in more salt. Salt is a good source of Sodium and Magnesium with 1tbsp calories per 18g making 0Cal negligible.